article Archives - Page 5 of 5 - BetterByDesign Nutrition Ltd.
A new British study in The New England Journal of Medicine has found that early introduction of peanuts to the diet may offer protection from the development of peanut allergy. The Learning Early About Peanut Allergy (LEAP) study, conducted by the National Institute of Allergy and Infectious Diseases (NIAID)-supported Immune Tolerance Network (ITN) tested the theory that the very low rates of peanut allergy in Israeli children was the result of early introduction of peanuts in the diet. What We Know The prevalence of peanut allergy amongst children in Western countries has doubled in the past 10 years, reaching rates of 1.4 to 3.0% with approximately 1.7% of Canadian children allergic to peanuts. Peanut allergy is the leading cause of anaphylaxis and death due to food allergy . It also puts a substantial social and psychological (stress) burden on those with the allergy as well as their families. 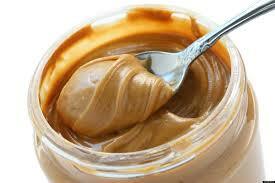 Research has demonstrated that peanut allergy develops early in life and is rarely outgrown. Clinical practice guidelines from the UK (1998) and from the US (2000) recommend the exclusion of foods known to result in serious allergic reactions from the diets of infants considered at high risk for allergy as well as from the diets of pregnant and breastfeeding women who have a family history of food allergy. The problem is that studies in which food allergens have been eliminated from the diet have consistently failed to show that elimination from the diet prevented the development of IgE-antibody mediated food allergy (the ‘gold-standard’ for diagnosis). As a result, in 2008, the previous recommendations for the avoidance of common serious food allergens were withdrawn — but the question remained as to whether early exposure or avoidance is the better strategy to prevent food allergies. The Background to this Study Several years ago, the researchers of this study had observed that the risk of developing peanut allergy was 10 times higher amongst Jewish children in the UK as it was in Israeli children of similar age and ancestry. This observation was associated with a striking difference in the time at which peanuts are introduced in the diet in these countries: in the UK infants typically do not consume peanut-based foods in their first year whereas in Israel, peanut-based foods such as Bamba® are usually introduced in the diet early (at approximately 7 months of age). This finding led to the researchers hypothesizing that the early introduction of peanuts may offer protection from the development of peanut allergy. The Learning Early about Peanut Allergy (LEAP) study set out to determine whether the early introduction of peanut in the diet could serve as an effective strategy for the prevention of peanut allergy. Study Subjects and Method Dr. Gideon Lack, a professor of pediatric allergy at King’s College London led the international team of researchers based on the idea that Israeli children have lower rates of peanut allergy compared to Jewish children of similar ancestry residing in the UK. The study tested the hypothesis that the very low rates of peanut allergy in Israeli children were a result of high levels of peanut consumption, beginning in infancy. In 2006, they recruited 640 children (mean age 7.8 months) who already had an egg allergy or eczema or both (indicators of children prone to a peanut allergy). The children aged 4- 11 months were divided into two groups. The first group of children did not have a peanut allergy in the initial skin-prick (RAST) allergy test while the second group of children had a weakly positive RAST test when the study began. These groups were then randomly assigned into two groups. In one group, the parents were asked to feed their babies peanut butter or Bamba® three times a week until the age of five years of age. The second group were instructed to keep their children’s diets peanut-free until age 5 years. Infants who were randomly assigned to eat peanut products were given an initial food challenge and further RAST allergy testing. Those who had negative results were given 2 g of peanut protein in a single dose and those who had a reaction to the peanut food challenge were instructed to avoid peanuts. Infants randomly assigned to consumption who did not have a reaction to the baseline challenge were fed at least 6g of peanut protein per week, distributed in three or more meals per week, until they reached 5 years old. Further clinical assessments occurred when the children were aged 4 – 11 months and at 1 year, 2 ½ years and 5 years old. Source of Peanuts in the Study The preferred peanut source was Bamba®, an Israeli snack food manufactured from 50% peanut butter and puffed corn. Bamba® is the number one selling snack in Israel with 90% of Israeli families reporting buying Bamba on a regular basis. Smooth peanut butter was provided to children who did not like Bamba. The Findings Among the 542 infants in the group with a negative result on the initial skin-prick test, 530 were included in the peanut eating group. At 5 years of age, ~ 14% of the peanut-avoiding group and 2% of the peanut-eating group were allergic to peanuts. This absolute difference in risk of 12 percentage points represents ~85% relative reduction in the prevalence of peanut allergy. Significance of This Study The study indicates that the early introduction of peanut dramatically decreases the risk of development of peanut allergy and seems to indicate that something can be done to reverse the increasing prevalence of peanut allergy. Word of Caution Parents of infants and young children with eczema or egg allergy or both should consult with an allergist, pediatrician or their General Practitioner before feeding them peanut products due to the increased risk of these children being allergic to peanut protein. Copyright ©2015 BetterByDesign Nutrition Ltd. LEGAL NOTICE: The contents of this website, including text, images and cited statistics as well as all other material contained here (the “content”) are for information purposes only. The content is not intended to be a substitute for professional advice, medical diagnosis and/or treatment and is not suitable for self-administration without regular monitoring by a Registered Dietitian and with the knowledge of your physician. Do not disregard medical advice and always consult your physician with any questions you may have regarding a medical condition or before implementing something you have read in our content. First of all, what are legumes? Legumes (also known as ‘pulses’) come from plants whose seed pods split on two sides when they’re ripe. So kidney beans, pinto beans, black (turtle) beans, chickpeas, lentils and even green peas and the yellow or green peas used for pea soup are all legumes. Soybeans (of which tofu is made) and good ‘ol “baked beans” are also in the legume family. Legumes are high in insoluble fibre which helps keep our bowels regular. Legumes are also a good source of soluble fibre which can help lower LDL (or “bad”) cholesterol levels and are a good source of carbohydrate as well as protein, which makes them an affordable way to meet protein needs. They also have a low Glycemic Index (GI), which means they are broken down slowly so you feel fuller for longer and they don’t cause a rapid rise in blood sugar, which makes them particularly good food for preventing and managing diabetes. In an exchange diet, 1 cup of legumes counts as a serving of carbs and a serving of protein. A dish made with legumes and served with a grain group makes a complete protein; that is, all the essential amino acids (ones our body can’t make) present in animal protein are present in a meal made up of legumes and grain. So chickpea curry on rice, or hummus and pita, dal and roti, or chili and tortillas all make up a meal with complete protein. Meals like this provide “meat without bones”. Legumes are often promoted as being high in iron and calcium, however they also contain compounds in their basic structure that makes the iron and calcium unavailable to be used by the body. If you have a tendency to iron-deficient anemia, learning to time when to eat foods rich in iron and legumes is important. Most of us have heard the rhyme, but can anything be done to reduce this undesirable side effect. Yes. Since legumes can be purchased dry (which need to be soaked before cooking) or canned, rinsing them well before cooking can eliminate most if not all of the gas-producing substances. When using the canned variety, rinse them in a colander with cool water before using. This will remove most of the gas-producing substances as well as excess sodium (salt). Discarding the soaking water of the dried variety before cooking virtually eliminates any gas! Learning to use legumes and timing when to eat them to maximize the absorption of key nutrients like iron and calcium isn’t difficult. If you are vegetarian or simply want to eat healthier using non-animal based protein, legumes are a good group to know. Why not click on the “Contact Us” tab above and send us a note. Copyright ©2014 BetterByDesign Nutrition Ltd. LEGAL NOTICE: The contents of this website, including text, images and cited statistics as well as all other material contained here (the “content”) are for information purposes only. The content is not intended to be a substitute for professional advice, medical diagnosis and/or treatment and is not suitable for self-administration without regular monitoring by a Registered Dietitian and with the knowledge of your physician. Do not disregard medical advice and always consult your physician with any questions you may have regarding a medical condition or before implementing something you have read in our content. Before discussing the health benefits of cruciferous vegetables, what are they? Cruciferous vegetables are vegetables of the family Brassicae. Cruciferae takes its name from that Latin word for “cross-bearing” because the flowers of these plants have four petals resembling a cross. Vegetables from this family are cultivated and eaten around the world and include cauliflower, broccoli, kale, cabbage and Chinese vegetables such as bok choi, gai lohn (Chinese broccoli) and Gai Choi (Chinese mustard greens). Even mustard seeds (both white and black) which are used widely in South Asian cooking are from this family of vegetables. Leafy salad greens such as arugula (also called rocket) are from the Brassica family, as are watercress and daikon radish and wasabi. These vegetables are rich in vitamin C as well as soluble fiber and are good sources of phytochemicals (active plant compounds that with many health benefits, including reducing certain forms of cancer). Cruciferous vegetables are rich in glucosinolates which are converted into compounds that have been found to have anti-cancer properties, especially against breast cancer, colon cancer and prostate cancer. 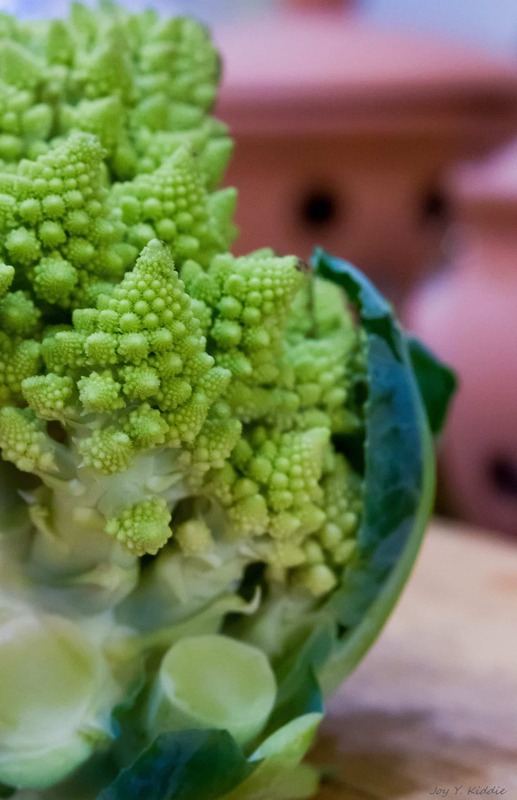 Compounds found in cruciferous vegetables have been found to cause an important liver enzyme from the Cytochrome P450 family to be expressed. This enzyme has an important role in drug metabolism and synthesis of cholesterol. They also contain a few compounds which research indicates may protect the liver against damage. Some people find that cruciferous vegetables taste bitter and other don’t. About 70% of people can taste a certain compound called PTC (phenylthiocarbamide) and to them cruciferous vegetables are perceived as bitter. Cruciferous vegetables don’t actually contain PTC, but people who find that this compound tastes bitter will find cruciferous vegetables do too. Which people taste these vegetables as bitter depends on where one’s ancestors come from The lowest rates of tasting bitter from these vegetables (58%) are found amongst the aboriginals peoples of Australia and New Guinea and the highest rate (98%) amongst the indigenous people of North and South America. One study has found that non-smokers and those that don’t drink tea or coffee have a higher likelihood of tasting PTC than the general population. As well, there are certain cultures, especially Chinese and South Asians are taught to like foods with this slightly bitter taste and who in turn have been found to have lower incidences of colon, breast and prostate cancer as a result of eating many different foods from the Brassicae family. Cruciferous vegetables contain enzymes that interfere with the formation of thyroid hormone (T3 & T4) in people with iodine deficiency and which can cause an enlargement of the thyroid, i.e. a “goiter”. Cooking cruciferous vegetables for 30 minutes significantly reduces the amount of these goiter-producing compounds. Since our bodies do not make iodine, this important mineral needs to come from the foods we eat. Since it has become popular recently for people to use sea salt instead of table salt (which is “iodized”) many people who don’t get enough iodine from other foods may be at increased risk of thyroid problems. The popularity of “juicing” and drinking smoothies made with cruciferous vegetables such as kale, watercress and arugula as well as using spinach and other greens that contain goiter-producing compounds in these drinks also puts people at added risk of thyroid problems. Risks versus Benefits – how to know? Getting the health benefits of reduced cancer risk and liver-protecting benefits by eating more cruciferous vegetables needs to be balanced with how much, how often and how (raw or cooked). Many popular health trends may sound healthy at first glance, but are they? Why not let our Dietitian help you on the road to better health? For more information, please click on the “Our Services” tab above to learn more about our various packages or click on the “Contact Us” tab to send us a note. Remember, Nutrition is BetterByDesign ! Eating gluten-free is a lifestyle for some, but according to the US based National Foundation for Celiac Awareness, the additional cost for those with Celiac Disease (gluten intolerance) of eating gluten-free ranges from $4,000 to $14,000 over a four-year-period. Thankfully, the Canada Revenue Agency lists gluten-free food products as an eligible medical expense for those with medical need to avoid gluten and they offer a tax-credit to offset the costs. With the start of a new year, I thought it would be a good time to post something about the tax breaks available to those who have been diagnosed with Celiac Disease / gluten intolerance. Living gluten-free is expensive and even though the costs of gluten free products has come down significantly the last few years, a cost-comparison study from September 2013 by Dr. Mohsin Rashid, a gastroenterologist from Halifax found that on average that gluten-free foods are 162% more expensive than their corresponding non-gluten free product. This was reported in the study as “good news” as the cost was down from 242% in 2008. Although slightly less than 1% of the population is diagnosed with Celiac disease (it’s estimated that up to 83% of people with Celiac disease are still undiagnosed), the demand for gluten-free foods has resulted in a $4.2 billion a year industry. This is expected to reach $6.6 billion by 2016. Thankfully, with the increased demand has come increase variety of gluten free products; with the number increasing by nearly 80% between 2005 and 2010. Financially, there is good news as well, in that that those with with Celiac disease have the opportunity to reduce some of the tax they owe each year through a special tax credit. Unfortunately, the process of tracking one’s gluten free purchases over an entire year and then calculating the incremental difference, is time consuming and tedious. Based on the statistics above, all the work could save a person with Celiac disease between $1,000 to $3,500 per year. If you have recently been diagnosed with Celiac disease, eating gluten-free is not optional. Learning to do it correctly involves significantly more than no longer eating regular bread or pasta. Gluten is contained in so many food products and even medications, that learning to know how to read food labels as a Celiac will benefit from the expert help of a Registered Dietitian that specializes is food allergies and sensitivities. Learning proper food handling techniques to avoid cross contamination in the kitchen at home is another skill that is indispensable. As for how to eat out in restaurants, that is another area a Dietitian with a specialty in food allergy and food sensitivity could make all the difference in the world. Why not give us a call and find out how we can support you in your gluten-free journey? Rashid, M and Stevens, L Gluten-free and regular foods: a cost comparison Can J Diet Pract Res. 2008 Fall;69(3):147-50. Water used to be free. In fact, it still is in nations with plentiful clean tap water like the US and Canada, but that doesn’t stop consumers from spending over $11.8 billion on bottled water a year. • Americans are the biggest bottled water drinkers on the planet in terms of volume. • China has been catching up to the US in bottled water consumption; having consumed 7.7 billion gallons to the US’s 9.7 billion. • America drinks ~ 3x as much bottled water as the largest European consumer, Italy (3 billion gallons). • Mexico is the world leader in gallons consumed per person at 65.5; the U.S. ranks 11th. The rest of the top 5 are: Italy, 49.9; Thailand, 44.9; United Arab Emirates, 43.2; and Belgium/Luxembourg, at 38.3. • Many regions of the world lack access to clean drinking water and bottled water has become the only safe alternative. Beverage companies know this and have been capitalizing on this in countries like China, Pakistan and India. • Global consumption of bottled water goes up ~10 % each year. • America is now drinking more bottled water than milk or beer. Robert S. Morrison, Vice Chairman of PepsiCo, was reported in 2001 in the New York Times (8/20/2001) to have said, “The biggest enemy is tap water”. • Almost half of all bottled water in the US is derived from tap water. In Canada, bottled water that is not labeled as spring or mineral water may be from any source, including tap water. The label is only required to show how the water has been treated. Tap water in the US is EPA regulated and undergoes testing for e. coli, and is required to provide its source and produce quality reports. Bottled water in the US does not have to meet the same standards; the Food and Drug Administration which regulates bottled water and its standards require less frequent bacteria testing, no mandatory reports of violations to federal officials, and no filtration or disinfection requirements. In Canada, bottled water is regulated as a food and therefore it must comply with the Food and Drugs Act. The Food and Drug Regulations provide definitions for different types of bottled water and specify microbiological standards, acceptable treatments and labeling requirements for these products. The Health Products and Food Branch has set guidelines for two additional bacteria (other than those in the Regulations): Pseudomonas aeruginosa and Aeromonas hydrophila. Which are bacterial indicators of poor “Good Manufacturing Practices (GMP). The Canadian Food Inspection Agency and other health officials could test for these bacteria when the manufacturer is out of compliance and/or has been involved in food borne outbreaks i.e. once people have gotten sick. • Bottled water in both Canada and the US has been found to be no safer than tap water. • The production of water bottles uses 17 million barrels of oil a year and it takes 3x the water to make the bottle, as it does to fill it. Given that bottled water is no safer than tap water, consumers are left to consider the environmental, ethical and economic cost to purchasing bottled water. Note: Filtered tap water, using a reverse osmosis method, is available in dispensing machines at many supermarkets across the US and Canada and may be a suitable alternative for those requiring mineral-reduced water for coffee machines or for drinking. Should you decide to purchase filtered water, be sure the machines are frequently serviced and sterilized by trained personnel. Every year, more than 4 million Canadians get food poisoning, also known as “food-borne illness”. Food poisoning occurs when a person gets sick from eating food that has been contaminated with harmful bacteria, parasites or viruses. The most common symptoms of food poisoning include stomach cramps, nausea, vomiting, diarrhea, and fever. Food recalls occur by Health Canada and or the Canadian Food Inspection Agency (CFIA) when food is contaminated with foreign substances, including bacteria such as e. coli and Listeria. This is the first of a two part article on two commom types of bacteria that can cause food poisoning; e-coli and Listeria. Our food supply in Canada is generally very safe, but sometimes the food we eat may carry bacteria that can make us sick, like Escherichia coli O157:H7, which is commonly called E. coli. The bacteria can be transferred to the outer surface of meat during butchering. Processing can then spread the bacteria throughout the meat. Raw fruits and vegetables can also become contaminated with e.coli while in the field, through improperly composted manure, contaminated water, wildlife and contaminated harvesters. If you eat under-cooked ground beef or other foods contaminated with e. coli, you can become ill. While most people experience a few days of upset stomach and then recover fully, e. coli infections can sometimes be life threatening. Both animals and people can be carriers of e. coli without showing signs of illness. They can then spread the bacteria to foods, surfaces or other people. Food can become contaminated with e. coli during butchering, when food is handled by a person infected with e. coli, or from cross-contamination when raw foods are handled improperly. Two of the most common ways to come into contact with e. coli are by improperly handling raw ground meat and by eating ground meat that is under-cooked. You can also become infected with e. coli through contact with the feces (stool) of infected people or with cattle or other farm animals (including at petting zoos and fairs). You cannot tell the difference between contaminated and non-contaminated food by the way it looks, smells, or tastes. Safe food handling and cooking practices are key to preventing food-borne illness. What are the symptoms and treatment for e.coli poisoning? Most symptoms clear up within five to ten days. But some people who are infected with e.coli develop life-threatening symptoms, including kidney failure, seizures and stroke. While most will recover completely, others may suffer permanent health effects, like kidney damage, and some may die. Although anyone can get an e. coli infection, pregnant women, people with compromised immune systems, young children and older adults are most at risk for developing serious complications. There is no real treatment for e.coli infections, other than monitoring the illness, providing comfort, and preventing dehydration through proper hydration and nutrition. People who develop complications may need further treatment, like dialysis for kidney failure. You should contact your health care provider if symptoms persist. How do I avoid getting Food Poisoning? Because ground beef can turn brown before disease-causing bacteria are killed, use a digital food thermometer to make sure you cook hamburger to an internal temperature of at least 71°C (160°F). Do not eat hamburger patties that are pink in the middle. If served an undercooked hamburger, send it back for further cooking. Ask for a new bun and a clean plate, too. Avoid spreading harmful bacteria. Keep raw meat separate from ready-to-eat foods. Wash hands, counters, and utensils with hot soapy water after they have come in contact with raw meat. Never place cooked hamburgers on the unwashed plate that held raw patties. Wash thermometers in between testing patties. Eat and drink only pasteurized juice, cider, milk and milk products. Drink water from a safe (treated or boiled) supply. Wash your hands thoroughly before preparing or eating food. Wash your hands after contact with animals (at home, farms, petting zoos and fairs). If you think you are infected with e. coli bacteria or any other gastrointestinal illness, do not prepare food for other people. Also, these practices will reduce your risk of contracting e. coli disease and other food-borne illnesses. In the next article, I will discuss Listeria Moncytogenes and how to reduce the risk of food poisoning from this bacteria. People often set a New Year’s Resolution to lose weight or exercise or eat healthier but how likely are you to be successful in meeting that goal if you wait until New Years to set that goal versus making that decision now? A 2002 study from the University of Scranton’s Journal of Clinical Psychology updated in 2012, sheds much light on this subject. Of the 415 study participants in the original study, 159 made New Year’s resolutions (were resolvers) and 256 did not make New Year’s resolutions (were non-resolvers). Ages of the subjects ranged from 18 to 85 years, with the average age being 43 years. Most of the participants were white (99%) and ¾ were women. Those that made New Years resolutions and those that didn’t were similar in terms of demographics, problem history and behavioral goals. The number one New Year’s resolution of this study conducted in 2002 was to lose weight and the fifth most important goal was to exercise and eat healthy. In December 2012, the same researcher that conducted the 2002 Scranton study conducted a Harris poll of 3,036 adults and found that the New Year’s Resolutions that people make were the same as those ten years earlier, with “weight loss” still being first (21%), exercising being second (14%) and eating healthier, fifth (7%). 1. Making change before New Years: The study found that those that started to eat better and exercise before New Years were actually 11 times more likely to be successful than those that started by making a New Year’s resolution. a. After only a week into the New Year ½ of those that started the New Year with a resolution to lose weight, eat healthy or get in shape had already given up! b. By the end of January 83% percent of people that set New Year’s resolution to lose weight, exercise of eat healthier have already given up!! Only 8% of people are actually successful in achieving their New Year’s resolutions! If your New Year’s resolution isn’t enough to be successful in losing weight and eating healthier, how can you successfully make the dietary changes you desire? Recent research published in the European Journal of Social Psychology from University College London found that it takes about 66 days (i.e. 2-3 months) to actually create a habit (Lally et al, 2010), so the professional support of a Registered Dietitian during this critical time can make all the difference . A customized eating plan based on your own lifestyle and food preferences will not only enable you to achieve your weight loss goals gradually over the next few months, but as importantly, keep them off over the long term. Please click on the “contact us” form to find out more about how BetterByDesign can help support your success in your weight management goals. The study, published in Psychological Science, finds that a previously known gene variant can cause individuals to perceive emotional events—especially negative ones – more vividly than others. Further research is planned to explore this phenomenon across ethnic groups. While more than half of Caucasians are believed to have the ADRA2b gene variant, statistics suggest it is significantly less prevalent in other ethnicities. For example, a recent study found that only 10 per cent of Rwandans had the ADRA2b gene variant. The study was co-led by UBC Prof. Rebecca Todd (as a PhD student at theUniversityofToronto) and Adam Anderson (CornellUniversity). DNA samples and genotyping were provided by Daniel Mueller (Toronto’s Centre for Addiction and Mental Health). The study, Genes for emotion-enhanced remembering are linked to enhanced perceiving, is available upon request. How much water should people drink each day? Is it true that we need 8 glasses per day, and if so, how big would those ‘glasses’ have to be? Actually, your water needs depend on many factors, including your health, how active you are and the climate you live in. Water is your body’s main component and makes up about 60 % of your body weight. Every system in your body depends on water; for example, water flushes toxins out of vital organs such as your kidneys and liver, carries nutrients to your cells and provides a moist environment for ear, nose and throat tissues. A lack of water can lead to dehydration; a condition that occurs when you don’t have enough water in your body to carry out normal functions. Even mild dehydration can drain your energy and make you tired. Severe dehydration can be significantly more serious; resulting in hospitalization and in some cases, death. Every day, you lose water as you exhale, perspire, and of course, pass urine and have bowel movements. For your body to function properly, you must replenish lost water by consuming beverages and foods that contain water. How much water does the average, healthy adult living in a temperate climate such as southern Canada or the northern USA, need? The Institute of Medicine in the United States has determined that an adequate intake (AI) for adult men is roughly 3 liters (about 13 cups) of total beverages a day (not just water). The AI for women is 2.2 liters (about 9 cups) of total beverages a day. Everyone has heard the advice, “drink eight 8-ounce glasses of water a day.” That’s about 1.9 liters, which isn’t that different from the Institute of Medicine recommendations. Just remember, it doesn’t have to be just water; all fluids count (except caffeinated ones, which increase urine output and thus, dehydrate you). You may need to modify your total fluid intake depending on how active you are, the climate you live in and how hot it is out, and your health status. • Exercise; If you exercise or engage in any activity that makes you sweat, you need to drink extra water to compensate for the fluid loss. An extra 400 to 600 milliliters (about 1.5 to 2.5 cups) of water should suffice for short bouts of exercise, but intense exercise lasting more than an hour (for example, running a marathon) requires more fluid intake. How much additional fluid you need depends on how much you sweat during exercise, and the duration and type of exercise. During long bouts of intense exercise, it’s best to use a sports drink that contains sodium, as this will help replace sodium lost in sweat and reduce the chances of developing hyponatremia, which can be life-threatening. Also, continue to replace fluids after you’re finished exercising. • Environment; Hot or humid weather can make you sweat and requires additional intake of fluid. Heated indoor air also can cause your skin to lose moisture during wintertime. Further, altitudes greater than 8,200 feet (2,500 meters) may trigger increased urination and more rapid breathing, which use up more of your fluid reserves. • Illnesses or health conditions; When you have fever, vomiting or diarrhea, your body loses additional fluids. In these cases, you should drink more water and sometimes it is helpful to drink oral rehydration solutions, such as Gatorade or Powerade. Also, you may need increased fluid intake if you develop certain conditions, including bladder infections or urinary tract stones. On the other hand, some conditions such as heart failure and some types of kidney, liver and adrenal diseases may impair excretion of water and even require that you limit your fluid intake. • Pregnancy or breast-feeding; Women who are expecting or breast-feeding need additional fluids to stay hydrated. Large amounts of fluid are used especially when nursing. The Institute of Medicine recommends that pregnant women drink 2.3 liters (about 10 cups) of fluids daily and women who breast-feed consume 3.1 liters (about 13 cups) of fluids a day. Although it’s a great idea to keep water within reach at all times, you don’t need to rely only on what you drink to meet your fluid needs. What you eat also provides a significant portion of your fluid needs. On average, food provides about 20 percent of total water intake. For example, many fruits and vegetables, such as watermelon and tomatoes, are 90 % or more water by weight. In addition, beverages such as milk and juice are composed mostly of water. Remember though, while beer, wine and caffeinated beverages such as coffee, tea or cola and root beer contribute to fluid intake, these are best not be a major portion of your daily total fluid intake, as they increase fluid loss. Water really is your best bet because it’s calorie-free, inexpensive and readily available. Although uncommon, it is possible to drink too much water. When your kidneys are unable to excrete the excess water, the electrolyte (mineral) content of the blood is diluted, resulting in low sodium levels in the blood, a condition called hyponatremia. Endurance athletes, such as marathon runners, who drink large amounts of water, are at higher risk of hyponatremia. In general, though, drinking too much water is rare in healthy adults who eat an average North American diet. What would a child’s Barbie doll actually look like if she were modeled after the average American woman? An article written by Nina Bahadur in The Huffington Post on July 1, 2013 is very telling, indeed! Artist Nickolay Lamm used average height, weight and waist circumference data from the Centre for Disease Control and Prevention (CDC) for women age 20 years old and over to create a 3-D model that looks like the “average” American woman. What does she look like? Well, she is 5’ 3 ¾” (63.8 inches), weighs 166.2 lbs and has a waist circumference of 37 ½ inches. Lamm then used Photoshop® to edit the 3-D model to make it look like a Barbie doll. Then, Lamm photographed this “average American Barbie” doll next to a standard Barbie doll, like millions of children around the world play with. How different do they look? Very different, it turns out. An interesting question is, what effect is the image of the “ideal” Barbie having on young girls body image? Dopamine is the chemical associated with the brain’s reward, pleasure and addiction centre and is also released in the eye in response to light exposure. Dopamine is also one of the neurotransmitters believed to be involved in Attention Deficit Hyperactivity Disorder (ADHD) which is often treated with medications such as methylphenidate (Ritalin®). A small study of nine overweight patients without eating disorders was conducted at the New York Obesity Nutrition Research Center and published in the journal Obesity on June 20, 2013. Researchers used a tool called electroretinography (ERG) to measure increases of dopamine in the retina of subject’s eyes as they ate a piece of chocolate brownie. Electroretinography is a non-invasive tool normally used by ophthalmologists to look for retinal damage. Researchers found a surge in dopamine activity in participants when the eye was exposed to a flash of light just as the subject ate a piece of brownie. A similar spike was noticed when subjects were given the drug methylphenidate (Ritalin®), used in the management of ADHD to trigger a dopamine response. The responses in the presence of chocolate and methylphenidate (Ritalin®) were each significantly greater than the response to light when participants ingested a control substance, water. These findings were significant since prior to this study, the eye’s dopamine system was considered separate from the rest of the brain’s dopamine system. If this technique is validated through additional and larger studies, researchers may be able to use electroretinography (ERG) to study food addiction. The low cost ($150) and ease of performing electroretinography (each session generates 200 scans in just two minutes) make it an appealing method when compared with procedures to measure dopamine responses directly from the brain, which are significantly more expensive and invasive. PET scans of the brain costs about $2,000 per session and takes more than an hour to generate a scan. Since food is necessary as a nutrient delivery system for people but also plays a role as a pleasure delivery system, being able to inexpensively and non-invasively measure the effect of dopamine release in the eyes when certain foods are eaten may be able to be used in the future to maximize the pleasure and nutritional value of food and minimize side effects, such as consuming excess calories and corresponding weight gain. A food allergy is a serious and sometimes life-threatening reaction to a component of a food that involves the immune system (a network of cell types that work together to defend and protect the body from viruses, infections and disease). When exposed to the allergen, the person’s immune system over-reacts, resulting in the reaction. Allergens in foods are composed of a particular sequence of amino acids that make up the protein part of that food. If you think of proteins as a train, the amino acids are the individual ‘cars’. The ‘cars’ can be in different orders. Say you have only five ‘cars’ in a train (a,b,c,d and e) they could be ordered a,b,c,d,e or a,c,b,e,d or a,d,e,b,c etc. An allergy is when your body overreacts to a very particular amino acid sequence in that protein (e.g. a,d,e,b,c). Whenever your immune system sees that amino acid sequence in any food, it will respond as if it were being attacked and launch an immune-system response. In long protein chains, the particular sequence that causes the immune reaction may appear somewhere within many other amino acid sequences that do not. Often time, people say they are ‘allergic’ to a food because it makes them feel unwell when they eat it, but they may actually be ‘intolerant’ to it, rather than actually allergic. Some of the symptoms of food intolerance and food allergy are similar, but the difference between the food intolerance and food allergy is important. If you are allergic to a food, the allergen triggers a response of the immune system. Food Protein-Induced Enterocolitis Syndrome is a serious type of food allergy triggered by eating or drinking a food allergen and which results in vomiting and diarrhea. Food Protein-Induced Enterocolitis Syndrome often develops in babies, usually when they are introduced to solid food or formula containing the food. In some cases, symptoms can be severe enough to cause dehydration and shock brought on by low blood pressure. The most common culprits include milk, soy and grains. In some allergy, your immune system may produce antibodies called Immunoglobulin E (IgE) to a specific protein (amino acid sequence). These antibodies are responsible for the release of specific chemicals that result in an allergic reaction and a full-scale response of the immune system. This reaction usually causes symptoms in the nose, lungs, throat, sinuses, ears, lining of the stomach or on the skin. Each type of IgE reacts only to a specific allergen, so some people are only allergic to one food because they only have one IgE antibody to that substance. Other people may have several IgE antibodies to different foods and therefore will have an immune response to several different foods. Food allergy reactions can be mild like itchy skin or hives (raised red bumps on the skin) or be life-threatening, such as anaphylaxis which causes a person to be unable to breathe and go into shock (drop in blood pressure). People with this type of allergy must be very careful to avoid the food s they are allergic to, as coming into contact with even a tiny amount of the food can be trigger a life threatening immune-system reaction. Note: If you know someone with food allergies, please click the “share” button so that others may know how serious, and even life-threatening this can be. Being allergic to a food (or more specifically, being allergic to a particular amino acid sequence in that food) may also result in being allergic to a similar protein found in something else. For example, if you are allergic to banana, you may also develop reactions to papaya or kiwi. This is known as cross-reactivity. Cross-reactivity occurs when the immune system recognizes an amino acid sequence (or part of that amino acid sequence) in a protein in a food from the same ‘family’ of fruit or vegetable one is allergic to. Cross-reactivity can also occur in those with a latex allergy (which is “rubber”; the liquid found in the center of certain tropical plants) and foods such as bananas, avocados, kiwi, chestnut and papaya (which originate from trees that contain latex in their core). Allergies may be screened for using a skin prick test. In skin testing, an Allergist (a physician with a specialty in allergy) places a small amount of an extract made from the food on the patient’s back or arm. If a raised bump or small hive of bumps develops within 20 minutes, it indicates a possible allergy. Those with serious or life-threatening allergens will have antibodies (IgE or IgA) to that specific protein present in their blood (e.g. IgE antibody to peanut). The presence of these antibodies can be determine by a blood test. Many food allergies are first diagnosed in young children, though they may also appear in older children and adults. While many children outgrow a food allergy they had a young children, it is also possible for adults to develop allergies to particular foods they have been exposed to repeatedly over time, with no previous reaction. More recently, sesame has been added to this list, as well as mustard seed. When people are allergic to non-foods (such as tree or grass pollen) may also react to foods that are in the same “family” as the tree or grass pollen. That is, there is a common amino acid sequence in the food as in the pollen. This is known as Oral Allergy Syndrome (OAS). For example, if you are allergic to ragweed, you may also develop reactions to bananas or melons. This reaction occurs because the proteins found in the fruit or vegetable are very similar to the protein (or more specifically the amino acid sequence) found in pollen from trees and grasses. The proteins in the food are identified by the body’s immune system and cause an allergic reaction; a response of their immune system. The most frequent allergic reaction involves itchiness or swelling of the mouth, face, lip, tongue and throat. Symptoms usually appear immediately after eating raw fruit or vegetables, although the reaction can occur an hour or more later. In rare and very serious cases, Oral Allergy Syndrome can cause severe throat swelling or even a systemic reaction, called anaphylaxis. If one is allergic to birch tree pollen, for example (a primary airborne allergen responsible for symptoms in the springtime) that person may have allergic reactions triggered by peach, apple, pear, kiwi, plum, coriander, fennel, parsley, celery, cherry and carrot and some tree nuts such as almond and walnut. People with allergies to grasses (also a springtime airborne allergen) may also have a reaction to peaches, celery, tomatoes, melons (cantaloupe, watermelon and honeydew) and oranges. Those with reactions to ragweed (a late summer and fall airborne allergen) may also have symptoms when eating foods such as banana, cucumber, melon, and zucchini. If one has Oral Allergy Syndrome, avoid eating foods in the same family as the pollen (especially during the allergy season of the pollen) may minimize the symptoms and/or the likelihood of severe allergic reactions. Taking oral antihistamines during the specific pollen season may also reduce the risk of a severe allergic reaction. The majority of people with anaphylaxis react within seconds or minutes of being exposed to the food they are allergic to (common with peanut allergy), but another form of anaphylaxis results in people not reacting for 6-8 hours after consuming the food (or a commonly a food that has inadvertently been exposed to that allergen via cross-contamination in the kitchen). This is known as “delayed onset anaphylaxis”. It is associated with the same life threatening symptoms (being unable to breath, sudden drop in blood pressure, etc); with the only difference being how much time it takes for the immune system to launch a full-scale counter attack against exposure to the allergen. Food, medications, insect stings and exposure to latex can all trigger anaphylaxis. People with anaphylactic allergies are advised to carry with them at least one Epipen (an injection of epinephrine / adrenaline that can be self-administered) in the event of exposure. Don’t be embarrassed to let other’s know what foods you are seriously allergic to and that you carry an Epipen and where it is. That wonderful looking chocolate ice-cream cake may actually be a peanut butter chocolate ice-cream cake and you may only find out too late. Teaching others how to use your Epipen on your behalf before an allergic reaction occurs is also wise idea. There is little time when you can’t inhale or exhale for someone to read the instructions contained with the Epipen! Ask them to call 911 as soon as possible if they see you are having a serious allergic reaction. Wearing a medical alert bracelet is an important way to let others know that you have a serious food allergy and that you carry an Epipen. It “speaks” for you when you are unable to breathe. Medical necklaces are also available. I even saw one young woman with a medical alert tattoo on her wrist! Also, if you don’t have serious food allergies but know someone that does, please ask them to show you how to use their Epipen for them. It may be obvious to them which end of the Epipen goes into theur leg, but when they aren’t breathing they can’t tell you. You need to know what to do quickly in order to intervene. Please remember to call 911 as soon as possible so that you can get the person medical attention once the Epipen has been administered. NOTE: If you know anyone with food allergies, please click one the “share” button to let others know how serious and even life-threatening a food allergy can be and more importantly, what they can do to possibly save a life. Getting Your Body Ready for Summer ? With the recent few hot, sunny days, I thought it would be helpful to write about factors to think about when considering getting your body ready for summer. For many people, that means losing a few pounds to look good in a bathing suit or a pair of shorts, but where do we get our idea about what a healthy body image is? Is it really the media? What role does exercise play and how many calories do we need to burn to lose a pound of fat? How do we know what a healthy body weight is for us; is it really off some chart? Is weight for height the best indicator of reduced health risk? What about waist circumference? What food or drink may make it harder to lose a few pounds or easier to lose a bit of fat around our middles? Getting ready for summer often has a great deal to do with what we think about ourselves and what we think we ‘should’ look like. Factors that contribute to our body image range from the media (TV, movies, advertising), what our friends and family think, to our own self esteem and feelings of self-worth. A recent study [Vanvonderen & Kinnally, 2012] of 285 female undergraduates found that comparison to media figures was associated with an internalization of a ‘thin ideal’, but comparisons with one’s friends and one’s own self-esteem were the strongest indicators of body dissatisfaction. The measure of Body Mass Index (BMI) or the Quatelet Index dates from 1832 and has become a standard for measuring who is “normal” weight, who is “overweight” and who’s “obese”. BMI is calculated by dividing a person’s weight (in kilograms) by their height (in meters, squared) and for our American friends, by multiplying weight (in pounds) by 705, then dividing by height (in inches) twice. Anything over 40 is considered class III obesity (also called ‘morbidly obese’) and this can increases a person’s risk of death from any cause by 50% to 150%. But using BMI alone as an indicator of healthy weight has some drawbacks as it says nothing about a person’s body composition, distribution of fat or fitness level. Very muscular people may have a high BMI but be mostly muscle and have very little fat, whereas very inactive people may have a normal BMI but a higher fat percentage than ideal. As well, there are differences between ethnic backgrounds. Studies have found that people of Asian descent have high risks of many diseases such as diabetes at BMIs that would be considered ‘normal’ for white people whereas many African-Americans may have high BMI measures, but no associated health risks. People that carry their weight around their middles have been known for some time to be at increased risk – so called “apples” versus “pears”. Increased waist circumference and fat carried around the middle (known as ‘central adiposity’) is associated with higher incidence of diabetes and heart disease, as well as death from those diseases. A recent study [Staiano AE et al] looked at data from 8061 adults (aged 18-74 years) in the Canadian Heart Health Follow-Up Study (1986-2004) and found that BMI and waist circumference predicted higher all-cause and cause-specific death from disease with waist circumference predicting the highest risk for death. Among overweight and obese adults, a large waist circumference was a much stronger predictor of death from heart attack than BMI. Although people often focus on diet when they’re trying to lose a few pounds, being active also is an important component. When you’re active, your body uses the calories in the food you eat as a source of energy, rather than storing the excess calories as fat. To lose a pound of fat requires either burning an extra 3500 calories, eating that many fewer calories or a combination of both. The nicer weather in the spring and summer makes burning a few extra calories easier; whether it’s throwing a Frisbee around with a few friends, hopping on a bicycle to go to the store or going for a power-walk at the local track, it’s all good! If you’re more competitive, there’s tennis or squash and if you’re team oriented there is always football, soccer, baseball or a good Canadian game of street hockey. Even a swim in a cold, clear lake counts as exercise if you do it long enough! Whatever activity you choose, the important thing is to do it regularly. Aim for at about a 150 minutes a week of moderate physical activity or an hour and a half of vigorous aerobic activity spread throughout the week. How do you know if it is vigorous or “aerobic” enough? If you are working up a sweat but can still carry on a conversation, it “counts”. With the NHL Hockey playoffs in full swing and summer BBQs often including a “cold one” just around the corner, many people have asked me if beer really the culprit in “beer belly”? While beer has many health benefits (see https://www.bbdnutrition.com/2013/05/04/stanley-cup-special-the-health-benefits-of-beer/) each bottle or can (355 ml / 12 oz) of regular beer does have about 150 calories and since each pound of weight gain is related to an extra 3500 calories we ate or drank, regularly drinking beer can definitely contribute to weight gain. In those predisposed to carrying their weight around their middles, as well as those with family risk of diabetes and/or heart disease, there really is the need to calculate the ‘cost’ of those cold ones, As for whether beer itself is the culprit behind “beer belly”, I will be addressing that in an upcoming article. Stay tuned. People often think of New Years in terms of timing to lose a few pounds but research has found that half of those that started the New Year with a resolution to lose weight, eat healthy or get in shape had already given up only one week into the year! By the end of the month, more than 80% percent had given up! A landmark study from the University of Scranton’s Journal of Clinical Psychology found that those that made weight loss goals at times other than New Years were actually 11 times more likely to be successful than those that made a New Year’s resolution to lose weight [Norcross et al]. So “now” is the best time, whenever “now” is. Studies show that losing weight takes a lot more than a resolution, but a plan and time and support until the changes become new habits. Research published in the European Journal of Social Psychology [Lally et al, 2010] found that it takes about 66 days (i.e. 2-3 months) to actually create a habit, so starting now and having a plan and support to sustain the changes through the summer will enable you, not only to lose weight, but keep it off. BetterByDesign Nutrition’s Registered Dietitian can design an Individualized eating plan just for you; based on your body measurements and composition, medical history, familial risk factors, as well as your lifestyle and food preferences. Having a plan designed to meet your own weight loss goals within your time-frame can make all the difference! We are able to support you in achieving your desired weight loss, but as importantly, can help you make the habit changes needed to keep it off over the long term. For more information, please click on the “Contact Us” tab above or on the following link to send our Dietitian, Joy Kiddie a note [email protected]. Research indicates that beer does have health benefits when consumed in moderation; that is, one 355 ml (12 oz) beer per day for women and two for men. Heavy drinking increases the risk of liver damage (cirrhosis) and heart problems and can definitely add increased weight, since one 355 ml of regular beer has about 150 calories and light beer has about 100. Just in time for the Stanley Cup Playoffs, here are a few healthy benefits of moderate beer drinking. An 1999 study from Holland [Van der Gaag et al] found that healthy beer-drinking men between the ages of 44-59 had 30% higher levels of vitamin B6 in their blood than their non-drinking counterparts, and twice as much as wine drinkers. An 1998 study from Finland [Hirvonen T et al] found that beer drinking lowered smoking men’s risk of developing kidney stones by 40% for each bottle of beer consumed., in moderation. The hops in beer may help slow leeching of calcium from bones; calcium that could end up in the kidneys as stones. A 2005 study of 11,000 older women [Stapher et al] found that those who consumed about one drink a day lowered their risk of mental decline by as much as 20 % compared to non-drinkers and scored as about 18 months “younger,” on average, on tests of mental skills than the non-drinkers. A 2009 study published in the American Journal of Clinical Nutrition looked at the bone mineral density (BMD) in 1182 men and 1289 postmenopausal women and 248 premenopausal women from the Framingham Offspring group, aged 29-86 years old. The study found that older men and women who drank one or two alcoholic drinks per day had higher bone density, with the greatest benefits found in those who favored beer or wine. However, drinking more than two drinks per day was linked to increased risk for fractures. The best bone-building benefits are found in pale ale, as these beers are richest in silicon, which is linked to better bone health. A 2011 met study by Constanzo et al which combined data from 16 earlier studies (involving more than 200,000 people) found that people that drank a little more than a pint of beer (475 ml) per day were 30% less likely than non-drinkers to suffer from cardiovascular events like strokes, heart attacks and heart disease. Researchers believe that the main benefit may be due to beer’s high polyphenol content, a potent anti-oxidant. A beer or two a day can also help raise levels of HDL, the so-called “good” cholesterol that helps keep arteries from getting clogged. The down side is that the research also found that drinking four or more beer (or wine) per day actually puts your heart at risk. A 2011 study of more than 38,000 middle-aged men [Joosten et al] drawn from the Health Professionals Follow-Up Study, found that when those who only drank occasionally raised their intake to one to two beers (or other drinks) daily, their risk of developing type 2 diabetes dropped by 25 %. The researchers found that alcohol increases insulin sensitivity, thus helping protect against diabetes. A 2002 study of 70,000 women between the ages of 25 to 40 drawn from the Nurses Health Study II found that moderate beer drinkers were less likely to develop high blood pressure (hypertension) which is a major risk factor for heart attack than women who drank wine or hard alcohol. Having a beer or two a day may lower your risk of heart attack and stroke, increase your insulin sensitivity, lower your risk of developing Type 2 diabetes, dementia, kidney stones and hip fractures and provide a good source of Vitamin B6. Besides, there’s nothing like a cold beer with some good friends or family and cheering for your favourite hockey team. Enjoy the Stanley Cup Playoffs! We often hear that a food or beverage is “high in antioxidants” but what exactly is an antioxidant? Why would we want to eat foods that are a high in them and which foods are the best sources? Simply put, an antioxidant is a molecule that keeps another from oxidizing. Oxidation is chemical reaction that transfers a hydrogen atom or electrons from one substance to an oxidizing agent. This process can produce something called a “free radical” or “reactive oxygen species” which can start a chain reaction in a cell that can cause damage or death to the cell. Antioxidants are classified into two categories, depending on whether they are soluble in water or in fat (lipids). In general, water-soluble antioxidants protect the inside of the cell and the blood plasma, while fat-soluble antioxidants generally protect cell membranes from lipid peroxidation (rancidity). Oxidation reactions are not bad in and by themselves, in fact they are necessary for life, but it is the production of these “free-radical” byproducts that are thought to be linked to cell damage that may result in cancer and coronary heart disease. Chemically, antioxidants act as “free radical scavengers” and prevent these harmful reactions from occurring. Antioxidants in the food industry were originally used to prevent fats from going rancid [German JB et al]. Vitamin A, C and E are naturally occurring antioxidants contained in foods and that when present in insufficient amounts, may lead to something called “oxidative stress” and damage to cells. A common “reactive oxygen species” is hydrogen peroxide (H2O2); yes the same substance that is used in first aid. The “hydroxyl radical” (-OH) that forms from hydrogen peroxide and other similar “reactive oxygen species”, is very unstable and will react quickly with almost any biological molecule, in order to become stable. These oxidants can damage cells by starting chemical chain reactions such as lipid peroxidation (essentially making the fat in cells rancid), or by oxidizing DNA or proteins. Oxidative stress is thought to be linked to a wide range of diseases but it is unclear if oxidants trigger the disease or if they are produced as a result of the disease; a byproduct of tissue damage. The oxidation of the so-called “bad” low density lipoprotein (LDL) oxidation appears to trigger the process of atherosclerosis or “hardening of the arteries”; underlying heart disease. Oxidative damage to DNA is believed to be linked to cancer. Research indicates that diets high in fruit and vegetables (rich sources of antioxidants) reduce the risk of several chronic diseases [USDA, 2010] and prevent approximately 30% of cancer deaths [Hiatt RA et al]. Other foods, such as grains, legumes and nuts are also good sources of antioxidants. Some antioxidants, such as lycopene (a type of carotenoid from tomatoes) and ascorbic acid (Vitamin C) are destroyed by long-term storage or prolonged cooking. Other antioxidant compounds are more stable, such as the antioxidants in foods such as whole-wheat cereals and tea. What about taking Antioxidant Supplements? Early studies seemed to indicate that antioxidants taken as supplements (pills / capsules) might be beneficial, but large clinical studies suggest that not only do they not seem to have benefit; they may even be harmful [Bjelakovic G et al]. Which Foods are Highest in Antioxidants? In a landmark study by Wu et al, the “total antioxidant capacity” of both lipophilic (fat soluble) and hydrophilic (water soluble) antioxidant components in over 100 different foods were measured; including fruits, vegetables, nuts, dried fruits, spices and cereals. These are listed, below. You will notice that some foods are in both categories, which means they have both hydrophilic (water soluble) and lipophylic (fat soluble) antioxidants. It is important to keep in mind that there are several factors that may affect the antioxidant capacity of foods, including processing of the food, genetics, season, and growing conditions. Haas avocado, navy beans, pinto beans; small red beans, black-eyed peas, broccoli raab, black beans, raspberries, cranberries, spinach, quick oats, Brazil nuts, prunes, blackberry, orange peppers, oranges, walnuts, figs, cashews , yellow pepper, pat bran cereal, old-fashioned oats, pistachios, pecans, artichoke, hazelnuts, corn, pear, red and green leaf lettuce and pumpkin. With berry season just around the corner, why not indulge in antioxidant rich strawberries, raspberries, blueberries and blackberries? Then, anticipate summer with its fresh cherries, black plums, red and green Anjou pears and plenty of fresh salad with green and red leaf lettuce and a handful of nuts on top. 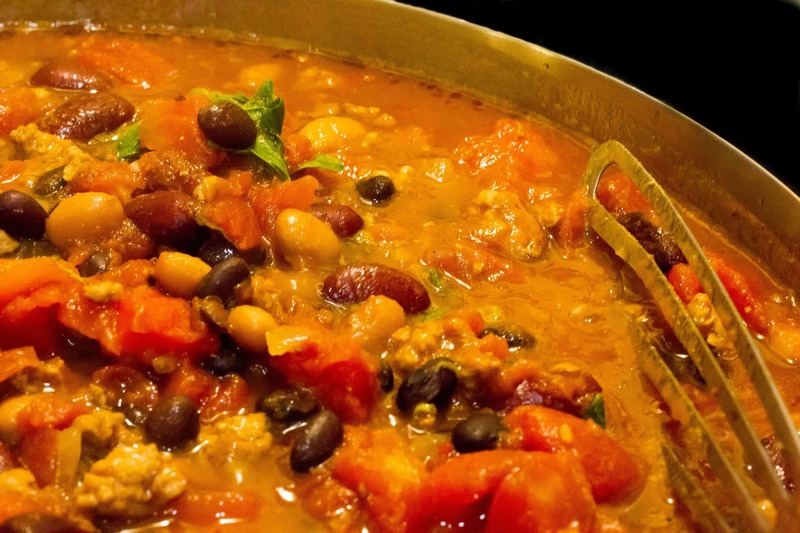 On a cold fall night, settle into a bowl of three-bean chili with pinto, black and kidney beans or a veggie curry with chickpeas and pumpkin. Bjelakovic G; Nikolova, D; Gluud, LL; Simonetti, RG; Gluud, C (2007). “Mortality in randomized trials of antioxidant supplements for primary and secondary prevention: systematic review and meta-analysis”. JAMA 297 (8): 842–57. German, JB (1999). “Food processing and lipid oxidation”. Advances in experimental medicine and biology. Advances in Experimental Medicine and Biology 459: 23–50. Knight, JA (1998). “Free radicals: Their history and current status in aging and disease”. Annals of clinical and laboratory science 28 (6): 331–46. 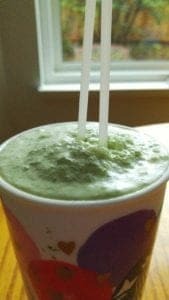 (April 25, 2017) Be sure get the recipe for a Low Carb High Healthy Fat Matcha Smoothie here: https://www.bbdnutrition.com/2017/04/24/low-carb-green-tea-matcha-smoothie-role-in-weight-and-abdominal-fat-loss/. Less than 3 gm of carbohydrate at all the health benefits of Matcha! Dietary approaches; which usually focus on decreasing caloric intake through a variety of means and while some people go on self-chosen “diets” that are bizarre and even dangerous, weight loss will occur as long as energy intake is less than energy expenditure (i.e. calories in < calories out). – Lifestyle strategies that help individuals identify and modify their eating behaviour and patterns of eating. When people understand why they eat and when they eat, it is easier for them to make long-term lifestyle changes. – Exercise and increased physical activity to help people attain and maintain a healthy body weight. – Food intake is sometimes addressed pharmacologically by doctors by using drugs such as Orlistat (which blocks lipase, an enzyme involved in fat absorption). – Surgical approaches provide the most dramatic weight loss and outside of the cosmetic value, may have a role in reducing long-term mortality and the incidence of diabetes [Bray]. Green tea is the unfermented leaves of the Camellia sinensis plant and contains a number of biologically active compounds called catechins and epigallocatechin gallate (EGCG) makes up almost 30% of the solids in green tea [Kim et al]. Recent studies have found that green tea catechins, especially EGCG play a significant role in both weight loss and body fat composition. It is thought that epigallocatechin gallate (EGCG), the most abundant catechin in green tea, mimics the actions of insulin. This has positive health implications for people with insulin resistance or diabetes [Kao et al] and EGCG also lowers blood pressure almost as effectively as the ACE-inhibitor drug, Enalapril, having significant implications for people with cardiovascular disease [Kim et al]. Population studies and several randomized controlled studies (where one group is “treated” and the other group is not) have shown that waist circumference is smaller and levels of body fat is less the more green tea consumed [Phung et al] . The anti-obesity effects of green tea are usually attributed to the presence of catechins [Naigle]. While catechins make up ~ 30% of green tea’s dry weight (of which 60–80% are catechins) oolong and black tea, which are produced from partially fermented or completely fermented tea leaves contains approximately half the catechin content of green tea. Drinking 8-10 cups of green tea per day is enough to increase blood levels of EGCG into a measurably significant range [Kim et al]. Matcha, a powdered green tea used in the Japanese tea ceremony and popular in cold green tea beverages such as bubble tea, contains 137 times greater concentration of EGCG than China Green Tips (Mao Jian) tea [Weiss et al]. A gram (~1/3 tsp) of matcha powder contains 105 mg of catechins (of which 61 mg are EGCs) and contains 35 mg of caffeine. Most matcha drinks made at local tea and coffee houses are made and served cold and contain ~1 tsp of matcha powder which contains ~315 mg of catechins (of which ~183 mg are EGCs). Since there is no brewing time involved in the preparation of cold matcha beverages, the amount of catechins remains relatively constant in each cup. Variation in catechin content in matcha powder is largely due to where the plant is grown and how it is processed. A 2009 meta-analysis (combining the data from all studies) of 11 green tea catechin studies found that subjects consuming between 270 to 1200 mg green tea catechins / day (i.e. 1 – 4 tsp of matcha powder per day) lost an average of 1.31 kg (~ 3 lbs) over 12 weeks [Hursel]. The effect of green tea catechins on body composition is significant even when the weight loss between “treated” and “untreated” groups is small (~5 lbs in 12 weeks). – total amount of subcutaneous abdominal fat (the fat just below the skin of the abdomen) decreases almost 8 times more with green tea catechin consumption thank without it (−6.2 vs. 0.8%). Green tea catechins are absorbed in the intestine. Since the presence of food significantly decreases their absorption, green tea catechins are best taken 1/2 an hour before meals or 2 hours after meals. The timing of green tea catechin intake may also affect the absorption and metabolism of glucose. A study by Park et al found that when green tea catechins were given one hour before to a glucose (sugar) load, glucose uptake was inhibited and was also accompanied by an increase in insulin levels. Taking green tea catechins an hour before consuming highly sweet foods may be beneficial for those with insulin resistance or diabetes. There seems to be some dispute in the literature as to whether the casein (a protein) in milk binds green tea catechins, making them unavailable for absorption in the body, which is why matcha drinks are often made with non-milk beverages such as soy milk, almond milk or rice milk (that don’t have casein). 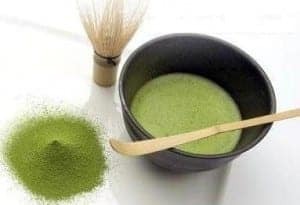 Consuming between 1 – 4 tsp of matcha powder per day (270 to 1200 mg green tea catechins / day) is sufficient to result in weight loss of approximately 3 lbs in 12 weeks (with no other dietary or activity changes) and to significantly decrease body fat composition and reduce the quantity of abdominal fat. For those of you that have been asking what I am always drinking in that thermos…this is it! Note: once the matcha is blended with the soy milk, the tannins in the green tea are neutralized and no longer react with metal, so the beverage can then be put in an insulated stainless steel cup. Bray GA. Lifestyle and pharmacological approaches to weight loss: efficacy and safety. J Clin Endocrinol Metab 2008;93:S81–88. Brown WJ, Williams L, Ford JH, Ball K, Dobson AJ. Identifying the energy gap: magnitude and determinants of 5-year weight gain in midage women. Obes Res 2005;13:1431–41. Popkin BM. Recent dynamics suggest selected countries catching up to US obesity. Am J Clin Nutr 2010;91:284S–8S. The Paleo Diet – Did it ever Prevent Hardening of the Arteries? The “Paleo Diet” is a modern style of eating based on an ancient diet believed to have be eaten during the Paleolithic era — a period of about 2.5 million years which ended around 10,000 years ago with the development of agriculture and grain-based diets. Proponents of this diet argue that modern human populations eating diets thought to be similar to those of Paleolithic societies are largely free of “diseases of affluence”, including atherosclerosis (hardening of the arteries). The “Paleo Diet” consists mainly of fish, grass-fed pasture raised meats, eggs, vegetables, fruit, fungi, roots and nuts (and excludes grains, legumes/pulses, dairy products, potatoes, refined salt, refined sugar and processed oils). But is atherosclerosis a disease of modern human beings related to our current diet and lifestyle factors? Its prevalence in pre-industrial populations from four totally different regions of the world with very different dietary intakes, has now been documented. A new study published in the peer-review journal The Lancet (March 10, 2013) has obtained whole body CT scans of 137 mummies from four different geographical regions representing entirely different populations (ancient Egypt, ancient Peru, the Ancestral Puebloans of southwest America, and the Unangan of the Aleutian Islands) spanning more than 4000 years of history. The ancient Egyptians and Peruvians were farmers, the ancestral Puebloans were forager-farmers, and the Unangans of the Aleutian Islands were hunter-gatherers without agriculture. None of the cultures was known to be vegetarian and all were believed to be quite physically active. Researchers identified atherosclerosis in more than a third of the mummified specimens, raising the possibility that humans have a natural predisposition to the disease. In total, whole-body CT scans were performed on 137 mummies, including 76 ancient Egyptians, 51 ancient Peruvians, five ancestral Puebloans, and five Unangan hunter-gatherers. Probable or definite atherosclerosis was evident in 34% of the mummies; 29 ancient Egyptians, 13 ancient Peruvians, two ancestral Puebloans and three Unangan mummies. Atherosclerosis was considerably more common in ancient populations than previously believed. Based on calculations using architectural changes in the bone structures, the average age of death was 43 years old and age was positively correlated with atherosclerosis. Researchers note that all four populations lived at a time when infections would have been a common cause of death and the high level of chronic infection and inflammation might have promoted the inflammatory aspects of atherosclerosis. These findings are consistent with the accelerated course of atherosclerosis seen in patients with rheumatoid arthritis and lupus today. Atherosclerosis is not just a modern phenomenon; it was common in four pre-industrial populations across a wide span of human history, including a pre-agricultural hunter-gather population. The presence of atherosclerosis in pre-modern human beings suggests that the disease is an inherent component of human aging and not associated with any specific diet or lifestyle. While eating unlimited amounts of any calorically-dense food such as chocolate may increase the risk of overweight or obesity, consumption of chocolate, especially dark chocolate has been associated with several health benefits. Chocolate is a food produced from the seed of the tropical theobroma cacao tree. The seeds of the cacao tree have an intense bitter taste and must be fermented to develop the flavor. After fermentation the beans are dried then cleaned and roasted and then the shell is removed to produce cacao nibs. The nibs are then ground to cocoa mass; pure chocolate in rough form. Since the cocoa mass is usually liquefied then molded with or without other ingredients, it is called chocolate liquor. The liquor also may be processed into two components: cocoa solids & cocoa butter. The cocoa solids are responsible for the brown colour in dark and milk chocolate. Dark chocolate contains primarily cocoa solids and cocoa butter, in varying proportions. Milk chocolate combines cocoa solids, cocoa butter or other fat, and sugar as well as milk products such as milk powder or condensed milk. White chocolate contains cocoa butter, sugar and milk solids but no cocoa solids and therefore really isn’t chocolate at all. Recognition of cocoa’s health properties is nothing new. As far back as the 16th-century Spanish priests were aware of the nutritional properties of the highly prized Mayan cocoa drink and sanctioned its use as a food substitute during periods of fasting. It is well known that certain plant polyphenols, in particular the flavonoids, act to lower the risk of both cardiovascular disease and cancer. Flavanols are known to be present in red wine, tea and various fruits and berries but dark chocolate also contains large amounts of flavanols and has a cardio-protective role in the diet. The presence of theobromine in chocolate has been shown to be more effective than codeine when it comes to suppressing a cough. According to a 2005 study published in the FASEB Journal, researchers induced coughing in 10 healthy volunteers (using capsaicin from chili pepper) and then measured how much capsaicin was needed to induce a cough after subjects had taken theobromine (found in dark chocolate), codeine or a placebo. In comparison with the placebo, when subjects had taken theobromine they needed around a third more capsaicin to produce a cough, whereas they needed only marginally higher levels of capsaicin after taking codeine. Theobromine works by suppressing the activity of the vagus nerve which causes coughing. Best of all, theobromine doesn’t produce any adverse effects on the cardiovascular or central nervous systems. Maria Belvisi, one of the study’s authors commented: “Normally the effectiveness of any treatment is limited by the dosage you can give someone. With theobromine having no demonstrated side effects in this study, it may be possible to give far bigger doses, further increasing its effectiveness”. Researchers found that those who ate 6.3 gm of dark chocolate per day of dark chocolate (about 30 calories and 30 mg of polyphenols) saw their average systolic blood pressure drop by 2.9 mm Hg and diastolic BP by 1.9 mm Hg. Those diagnosed with hypertension (high blood pressure) had their blood pressure drop by 18% as a result of consuming 6.3 gm of dark chocolate. Furthermore, none of the subjects in the study experienced any changes in body weight, blood lipids (cholesterol) or blood glucose (sugar) levels. Subjects that ate the same amount of white chocolate (which contains no cocoa and therefore no polyphenols) had no change in their systolic or diastolic blood pressure. Although the magnitude of the blood pressure reduction was small, the effects are clinically noteworthy. On a population basis, it has been estimated that a 3-mm Hg reduction in systolic blood pressure would reduce the relative risk of death by stroke by 8 % and of death from coronary artery disease by 5%, and of all-cause death by 4%. It is proposed by one of the authors of a 2006 study (Dr. Naomi Fisher) that the decrease in arterial stiffness noted in subjects after consuming 100 gm of dark chocolate was due to the effect of the flavonoids in the cocoa acting on an enzyme called nitric oxide synthase; resulting in dilatation of blood vessels, improve kidney function and lower blood pressure. Cocoa solids (found in dark chocolate and milk chocolate) contains alkaloids such astheobromine and phenethylamine which, as noted above have some positive physiological benefits in humans but it is the presence of theobromine which renders it toxic to some animals, including dogs and cats. Because white chocolate does not contain any cocoa solids, and thus no theobromine, it can be safely eaten by animals. 1. It stimulates endorphin production, which gives a feeling of pleasure. Chocolate is still a high-calorie, high-fat food. Most of the studies done used no more than 100 grams, or about 3.5 ounces, of dark chocolate a day to get the benefits. One bar of dark chocolate has around 400 calories. If you eat half a bar of chocolate a day, you must balance those 200 calories by eating less of something else. To indulge a chocolate habit without regrets, choose dark varieties containing at least 70 % cocoa solids and check low levels of cocoa butter. Try to make a little go a long way. Research indicates that you get maximum benefit with fewer ill effects from just one or two squares of dark chocolate per day. Fisher ND, Hollenberg NK. Aging and vascular responses to flavanol-rich cocoa. J Hypertens. 2006 Aug; 24(8):1575-80. Taubert D, Renate R, Clara L, et al. Effects of Low Habitual Cocoa Intake on Blood Pressure and Bioactive Nitric Oxide., JAMA 2010; 298 (1): 49-60. Did you set a New Year’s Resolution to lose weight this year or exercise or eat healthier? How likely are you to be successful in meeting that goal? A landmark study from the University of Scranton’s Journal of Clinical Psychology by Norcross et al sheds much light on this subject. Of the 415 study participants in the study, 159 made New Year’s resolutions (were resolvers) and 256 did not make New Year’s resolutions (were non-resolvers). Ages of the subjects ranged from 18 to 85 years, with the average age being 43 years. Most of the participants were white (99%) and ¾ were women. Those that made New Years resolutions and those that didn’t were similar in terms of demographics, problem history and behavioral goals. A customized eating plan based on your own lifestyle and food preferences will not only enable you to achieve your weight loss goals gradually over the next few months, but as importantly, keep them off over the long term. Multivitamins are used to prevent vitamin and mineral deficiency; however there is a common belief that taking multivitamins may prevent cardiovascular disease (CVD). This study published in the November 7, 2012 of the Journal of the American Medical Association demonstrated among this population of US male physicians that taking a daily multivitamin for more than a decade of treatment and follow-up did not reduce major cardiovascular events, including nonfatal myocardial infarction (MI), non-fatal stroke and CVD mortality. A total of 14,641 male US physicians initially aged 50 years or older, including 754 men with a history of CVD at randomization, were enrolled and randomly assigned to either receive a daily multivitamin or a placebo. Of men enrolled in PHS II, 5% had a history of MI or stroke. Over an average follow-up of ~11 years, 1732 CV events occurred, but this rate of CV events was no higher among men taking placebo than those taking a daily multivitamin. There was no statistically significant difference in rates of MI, all stroke, hemorrhagic stroke, ischemic stroke, congestive heart failure, angina, coronary revascularization, CVD mortality, or overall mortality. There is a concern that people who think they are benefiting from taking a daily multivitamin may be less likely to participate in preventive health behaviors, such as diet and exercise that are both known to reduce the risk of cardiovascular disease. Furthermore, people with heart disease or risk factors may continue to lead unhealthy lives yet take daily vitamins supplements in the hope of reducing their risk of future problems while avoiding making the needed lifestyle changes. This distraction from effective CVD prevention is viewed as the main ‘hazard’ of daily multivitamin supplementation. The PHS II participants as a whole, exercised regularly, ate reasonably well, and didn’t smoke so the group probably represented, on average, a well-nourished population who already have adequate or optimum intake levels of nutrients, for which supplementation may offer no benefits. Multivitamin supplementation may play a role in nutritionally at-risk populations or those with nutritional deficiencies. HOW TO KNOW IF YOU ARE GETTING ADEQUATE NUTRIENTS? The best way to determine if you are getting all the nutrients in the amounts you need for your age and gender is to have your diet assessed by a Registered Dietitian. BetterByDesign Nutrition has several different packages to meet your needs. Remember, that visits to a Registered Dietitian are covered by most extended benefit plans. As well, many companies have Employment Assistance Programs (EAPs) that will cover short term visits to a Registered Dietitian. Click on the “Assessment Options” to see the various services we offer. A new Statistics Canada report released on September 20, 2012 finds that almost a third (31.5%) of 5- to 17-year olds were overweight (19.8%) or obese (11.7%) in 2009 to 2011. While the percentage who were overweight was similar across age groups, the prevalence of obesity was almost double in boys overall than girls (15% versus 8%). In children aged 5 to 11 years, boys are more than three times likely to be obese (19.5%) compared to girls of the same ages (6.3 %). Experts say that the new obesity cutoffs of the World Health Organization standards used to measure obesity were not enough to explain these findings. The study (Obesity in Children and Adolescents: Results from the 2009 to 2011 Canadian Health Measures Study) was based on actual measured heights and weights of 2,123 children and adolescents in Canada aged 5 to 17, between the years 2009 and 2011. The data involved only one measure of overweight, BMI (Body Mass Index) which is the defined as a person’s body mass divided by the square of their height. Another recent Canadian study referred to in this report demonstrated that over time, waist circumference among Canadians of all ages has increased more than BMI, indicating the need to monitor waist circumference. Evidence for adults indicates that changes in the distribution of body fat such as increased waist circumference, are associated with elevated health risk. Weight carried around the abdomen (in so-called “apple” shaped people) is a greater risk than weight distributed overall or in the hips and thighs (as in so-called “pear-shaped” people). Even when the prevalence of BMI doesn’t change, distribution of body fat centered around the waist is associated with increased health risk. Excess weight in childhood is increasingly being linked to what were once thought to be adult-onset illnesses including Type 2 diabetes, high blood pressure (hypertension), abnormal blood fats / high cholesterol, hardening of the arteries and non-alcoholic fatty liver disease. Studies have shown that adolescents who are overweight have a 14 times increased risk of having a heart attack before they turn 50. Children that are obese also have higher levels of depression and low self-esteem and are more likely to be teased or bullied at school. The amount of time spent in front of a TV, computer, video game or texting or surfing on smart-phones (so-called “screen-time”) has been found to be strongly correlated with childhood obesity. Children and adolescents that spend two hours or more of screen time per day are twice as likely to be overweight or obese than those who spend an hour or less of screen time. Studies have also shown that screen time is higher amongst boys than girls, which may be related to higher rates of overweight and obesity found in boys compared with girls. WHAT DOES THIS STUDY MEAN TO ME? It would be helpful to encourage children of all ages to participate in regular daily physical activity and decrease their “screen time” to less than 1 hour a day (half the current amount associated with childhood overweight and obesity). As well, to make sure that children (as well as adults) are within a healthy body weight, its recommended that they have their waist circumference monitored regularly as well as having their Body Mass Index (BMI) calculated and body fat percentage determined. Our Dietitian is very experienced working with children and can assess your child”s current weight and nutritional status and make recommendations to reduce their risk of acquiring diseases including Type 2 diabetes, high blood pressure (hypertension), abnormal blood fats / high cholesterol and non-alcoholic fatty liver disease. If you are concerned about weight management in you or your children, please click on the “Contact Us” tab to find out how to contact us. A Statistics Canada Report released in 2010 indicated that while 90% of Canadians 6- to 79-years old have enough Vitamin D in their blood for bone health, 10% (or roughly 3 million people) have concentrations considered to be inadequate and 1.1 million Canadians (or 4% of the population) is actually Vitamin D deficient; levels low enough to cause rickets in children and osteoporosis in adults. The highest prevalence of deficiency is in men aged 20 to 39, with about 7% considered Vitamin D deficient. Vitamin D is a fat-soluble vitamin that is naturally present in very few foods and is added to others (especially dairy products). Vitamin D is also produced in the body when ultraviolet rays from the sun makes contact with exposed skin and triggers vitamin D synthesis. Vitamin D is essential for bone growth and bone remodeling but without sufficient vitamin D, bones can become thin, brittle, or misshaped. Together with calcium, vitamin D helps protect older adults from osteoporosis and children against rickets. Vitamin D is also known to be associated with a lower risk of breast and colon cancer, some cardiovascular disease and other diseases like multiple sclerosis. Vitamin D is measured in nanomoles per litre (nmol/L). Levels below 27.5 nmol/L is are considered to indicate deficiency. It is suggested that 75 nmol/L is optimal for overall health. “Vitamin D status of Canadians as measured in the 2007 to 2009 Canadian Health Measures Survey” was based on data from the Canadian Health Measures Survey (CHMS) which collected physical measures of health and wellness from a nationally representative sample of Canadians aged 6 to 79 years, including blood and urine samples. Data are from 5,306 individuals aged 6 to 79 years from all regions of Canada, representing all ages, both genders and all racial backgrounds. Measurement of Vitamin D as 25-hydroxyvitamin D [25(OH)D] concentrations were determined from blood tests, and factors known to affect vitamin D status were also assessed. Ten percent of Canadians (or roughly 3 million people) have concentrations considered to be inadequate and 1.1 million Canadians (or 4% of the population) is actually vitamin D deficient; levels low enough to cause rickets in children and osteoporosis in adults. The highest prevalence of deficiency is in men aged 20 to 39; with about 7% considered vitamin D deficient. An estimated 4% of the population (5% of men and 3% of women) had levels indicating vitamin D deficiency. The highest prevalence of deficiency (7%) was among men aged 20 to 39 years of age. The report states that much higher concentrations (> 75 nmol/L) are needed for overall health and disease prevention and according to this report only 1/3 of people in Canada are above this level. The average difference between people whose racial background was white (Caucasian) and people of other racial backgrounds was approximately 19 nmol/L, with whites having higher levels of Vitamin D.
Vitamin D comes from foods and supplements, and from sun exposure. There are only small amounts of vitamin D naturally occurring in foods such as oily cold-water fish (85 gm of light canned tuna contains 200 IU) and only a small amount of vitamin D is found in fortified foods such as milk (1 cup of milk contains 100 IU of vitamin D). Vitamin D can be made by the body when the skin is exposed to sunlight. During the spring and summer months in Canada, daily sun exposure (if not wearing sunscreen or clothes that cover much of the body) may produce sufficient amounts of vitamin D, however many people avoid this due to the increased risk of skin cancer. Even in sunny parts of Canada, Vitamin D production from the sun from late October to early March is insufficient and Vitamin D supplements are recommended. As well, the skin’s ability to produce vitamin D drops with age, putting people older than 50 years of age, at risk. Additional factors such as the time of day, amount of cloud cover, smog and the natural colour of one’s skin (melanin content) all affect the amount of vitamin D synthesis available. In northern climates, such as Canada which is above the 49th parallel, there are insufficient UV rays for 6 months of the year or more for adequate vitamin D synthesis. The Canadian Cancer Society recommends that adults living in Canada should consider taking Vitamin D supplementation of 1,000 international units (IU) a day during the fall and winter months or year round if they are older (>50 years of age), have dark skin, don’t go outside often or if they do, wear sunscreen or clothing that covers most of their skin. HOW DO I MAKE SURE TO GET ENOUGH VITAMIN D? If you are an adult under the age of 50 years of age living in Canada, it is recommended that you supplement your diet with 1000 IU Vitamin D / day, more so if you are living in the Lower Mainland where there is often inadequate sunshine, even in the summer months. Our Registered Dietitian can assess your diet and make recommendations to ensure you are getting sufficient micro-nutrients (vitamins and minerals), including Vitamin D.
A study published in May 2010 in the Canadian Medical Association Journal and based on data conducted over an 11 year period was the first to compare cardiovascular risk factors and associated heart disease and stroke prevalence across the four major racial-ethnic groups living in the same geographic area, with a similar living environment and similar access to health care. The report found that Whites (Caucasian), South Asians, Blacks and Chinese had striking differences in cardiovascular risk profiles. The study entitled “Comparison of Cardiovascular Risk Profiles Among Ethnic Groups” was based on population health surveys between 1996 and 2007 and was conducted by the Toronto-based Institute for Clinical Evaluative Sciences. It compared data from 154,653 Caucasians (Whites), 3,038 Chinese, 3,364 South Asians and 2,742 blacks who participated in Statistics Canada’s cross-sectional national population health survey between 1996 and 2007. Risk factors for cardiovascular disease include smoking, diabetes, obesity, hypertension (high blood pressure) as well as psychological or social stress. The study reported that Chinese had the most favorable cardiovascular risk factor profile with only 4.3% of the population reporting two or more major cardiovascular risk factors, such as smoking, diabetes, obesity and hypertension (high blood pressure). South Asians had the next most favorable cardiovascular risk profile (7.9%), followed by Whites (10.1%) and Blacks (11.1%). The study also found that smoking, obesity and stress were significantly more common in Whites, while diabetes and hypertension were much more prevalent among Blacks and South Asians. WHAT COULD THE STUDY MEAN FOR YOU? If you have any of the risk factors known to be prevalent for your ethnic background, consider consulting with our Registered Dietitian. She is a food and nutrition expert and is knowledgeable and experienced to help you make the lifestyle changes needed to lower your risk of cardiovascular disease.